Regular Class in session On thursdays 5:00-6:30 with daya narayan. we also meet on the first three sundays of every month, 4:00-5:30pm with jagdeesh kaur. Come to one or all of the classes. All levels of experience. Class cards welcome. last saturdays 6:30-8:00 with jagdeesh. Kundalini is a form of Yoga exercise and meditation that promotes health, happiness and spiritual awareness. It is a complete science that combines postures (asanas), movement, sound current (mantra), breath (pranayam) and meditation into powerful sets called kriyas. It is designed to provide you with the experience of your highest consciousness through the raising of your Kundalini. The word "kundalini" literally means "The curl of the hair of the beloved", a poetic way of describing the flow of energy and consciousness that already exists within each one of us. These practices enable you to merge with, or "yoke" with, the universal Self. This merging of individual consciousness with universal consciousness creates a "divine union" called "yoga". Kundalini Yoga is called the Yoga of Awareness. Practicing it allows you to build a healthy body, keep it in shape, increase your vitality, train your mind to be strong and flexible in the face of stress and change, make contact with your infinity and your innate wisdom as well as open the door so that you can fulfill your potential. It balances the glandular system, strengthens the nervous system, and enhances creative potential. Kundalini Yoga gives you the vitality and health that is your birthright. It makes you radiant, peaceful and strong so that you can meet life's challenges victoriously and with grace. Kundalini Yoga is designed to give you a “hands on” experience of your highest consciousness. It is a process that goes beyond the mind to where we can follow our hearts. This technology combines breath, mudra, eye-focus, mantra, body locks, and postures in a precise, conscious manner to affect the body, mind and soul. Kundalini Yoga will give you an experience of the Self and can lead you towards becoming a healthy, happy, holy human-being. What matters most is your personal experience. As an instructor of these teachings I have stimulated a part of myself I was unaware of and that is what I hope to bring to you . The awareness of Self and personal life balance that comes as you commit to yourself and this practice. What matters most is your personal experience. Jagdeesh began her journey through the practice of yoga in the 90's. Certified as Massage Therapist in 2000 she also decided to become a Hatha Instructor with Stephanie Keach. 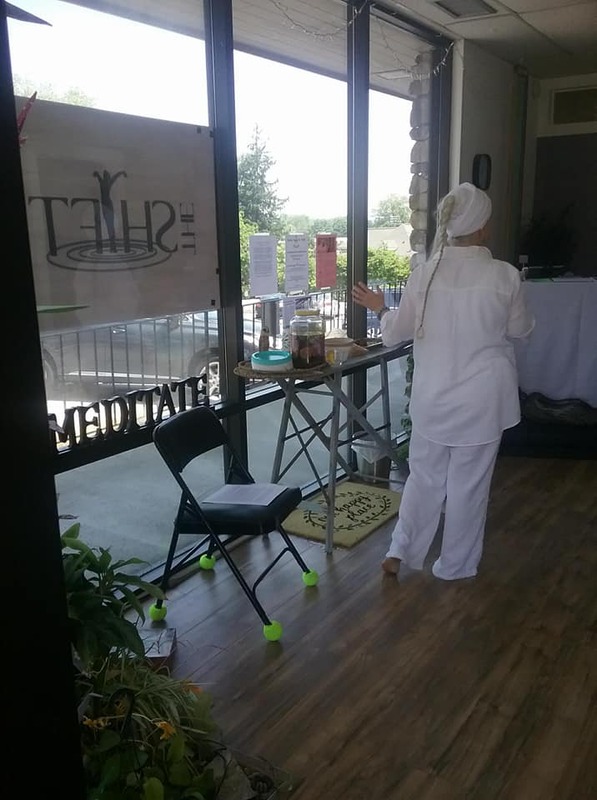 In 2002 she began to search for more in her practice and that is when Kundalini Yoga as taught by Yogi Bhajan became a heart centered practice for her. 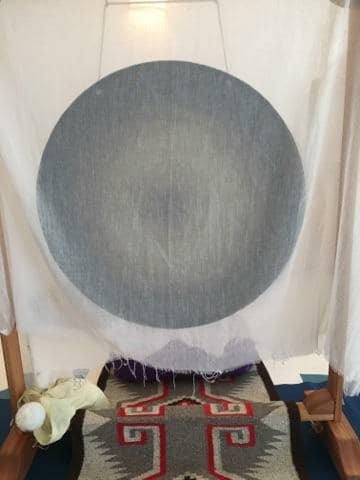 She also has been sharing the healing sounds of the Gong since 2015 . "Along with my massage practice I continue to learn and grow into the human I choose to be in this world. Strong, unshakable, compassionate, kind and a powerful woman. This doesn't mean I am clear of issues in my life, I just handle things a whole lot better and I am at peace with where I am in this moment." Daya Narayan (Betsy Perry) began practicing yoga in the 1990’s when the aches and pains from running had caught up with her. As she approached retirement from a career in nursing and management, she never dreamed of becoming a certified yoga teacher until she experienced the power of Kundalini yoga as a physical and spiritual practice. She became a certified Kundalini Yoga Teacher in July 2016, at the age of 70. Along with her yoga practice and healthcare background, Betsy brings a lifetime of service and spiritual study to guide people in finding balance, joy, and openness in the everyday experience of their physical and spiritual selves. Kundalini yoga is an ancient and powerful form of yoga which beautifies our bodies by awakening the body’s natural healing power, releases stress, and deepens meditation. No matter your body size, how stiff or flexible you are, your strength, or your mobility, you are beautiful and you can practice Kundalini Yoga.